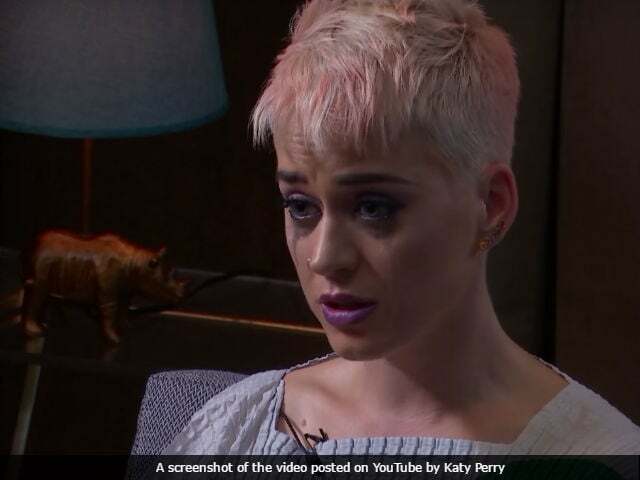 Katy Perry broke down with emotion when describing her depression and offered to bury the hatchet with fellow pop superstar Taylor Swift as she livestreamed her life for 96 hours. To promote her fifth album Witness, Katy Perry invited fans to watch her inside a Los Angeles home for a full weekend through Monday as the 32-year-old singer slept, cooked, did yoga, cuddled with her dog Nugget and chatted with a stream of celebrities who showed up at her door. Despite putting her life temporarily under observation with 41 cameras, Perry - born Katheryn Hudson to conservative Christian parents in California - said she struggled to handle the attention to her life more broadly. Katy Perry, who said that therapy has helped her, cried at length as she said she struggled with depression. "I'm ashamed because of course Katy Perry is so strong, but it's hard because I feel ashamed that I would even have those thoughts and feel that low or that depressed," said Katy Perry, the most followed person on Twitter with nearly 100 million followers. "Look at Katy Perry - she's so glamorous, she's rich, she's luxurious, successful and, like, Katheryn Hudson - I didn't have any money, I didn't have any influence, I didn't have anything," she said. The former brunette said that her new hairdo - cut short and dyed blonde - was an effort to "be my authentic self 100 per cent, so it hurts when I don't feel that I can." At another point of the weekend, Katy Perry said she wanted to end her feud with Taylor Swift - and broke out into Let It Go, from the Disney film Frozen. The two stars' rivalry blew into the open when Taylor Swift wrote the song Bad Blood after appearing to accuse Katy Perry of poaching back-up dancers. Taylor Swift, one of the most prominent foes of Spotify, suddenly released her music on all streaming platforms Friday at the exact moment Katy Perry's Witness came out.